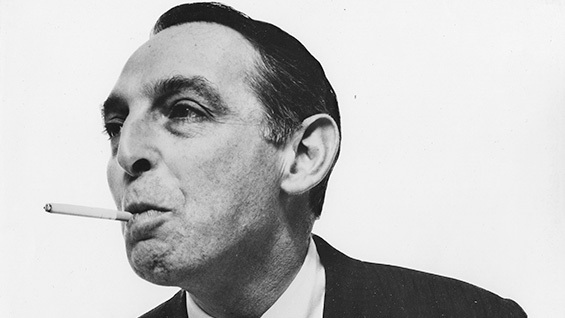 To mark the centenary of its legendary namesake, the graphic designer Herb Lubalin A'39, The Herb Lubalin Study Center of Design and Typography launched Lubalin100.com on March 17th, what would have been Lubalin’s 100th birthday. For 100 consecutive days, the site posts new content daily to honor the innovative designer and showcase his impact on the fields of graphic design, typography, and art direction. Since its launch, the site has garnered national and international media attention in graphic design press like AIGA Eye on Design and Frizzifrizzi and Lubalin Center curator Alexander Tochilovsky has been interviewed by Quartz, Hyperallergic, and It’s Nice That. “The project is akin to an advent calendar, and will allow us to tell a richer story about Herb Lubalin as an individual, to help the public see beyond the surface of his design work and understand the essence of his ingenuity,” says Tochilovsky, who also created Lubalin100.com.